Mendelson's Memos: Review: Seven Psychopaths (2012) is a thoughtful and powerful deconstruction on the modern crime comedy. 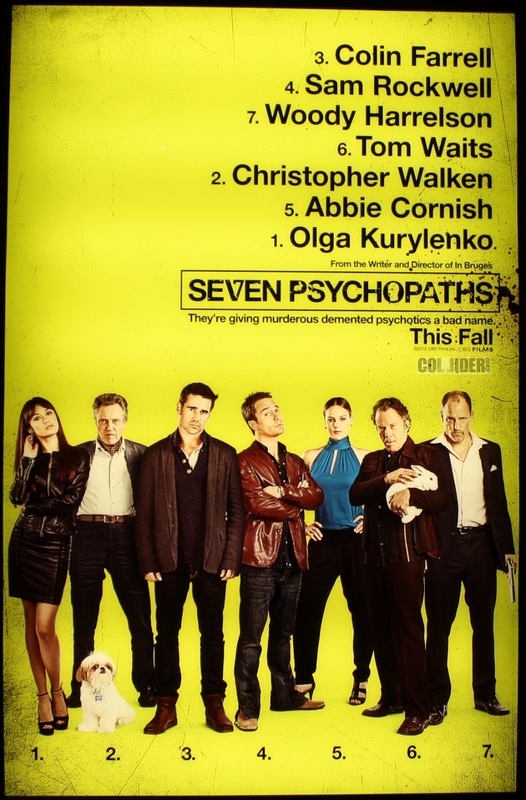 Review: Seven Psychopaths (2012) is a thoughtful and powerful deconstruction on the modern crime comedy. Martin McDonagh's Seven Psychopaths is something of a miracle. It works both as a straight-ahead crime dramedy while also serving as a piercing satire of said genre. It is a delightfully funny and clever romp in the land of violent criminals as well as a post-modern commentary on both the cliches of the format and the very fact that we not only embrace such characterizations but hold them on a higher platform in terms of critical acclaim and prestige. At its basest level, McDonagh's film aims to take every wanna-be hip gangster saga that has emerged eighteen years after Pulp Fiction and slap them all silly. But while the meta-moments and occasionally outlandish violence may stand out, it's the commitment to its own reality and acknowledging the tragedy of its own blood-soaked tale that makes the film linger and makes it a genuine work of brilliance. This is simply one of my favorite films of the year and one of the year's happiest surprises. The story, such as it were, technically revolves around Marty (Collin Farrell), a struggling alcoholic screenwriter who gets involved with his friend Billy's (Sam Rockwell) scheme to abduct dogs in order to claim the reward money. Complications ensue when Rockwell and his partner Hans (Christopher Walken) nab the prized pooch of Charlie, a local crime boss (Woody Harrelson). Meanwhile, Marty finds himself struggling to write what he hopes is his next great script, a brutally surreal crime story theoretically involving seven colorful psychopaths. What begins as a film akin to the likes of Things to Do In Denver When You're Dead and/or Two Days in the Valley (or the early Guy Ritchie films) soon becomes something deeper and altogether richer. I'm going to be vague here, as I knew very little going into this film, but what transpires becomes something akin to Cabin in the Woods meets Wes Craven's New Nightmare set in a Pulp Fiction sandbox. But no matter how self-referential the narrative gets or however self-critical the dialogue becomes (I'm personally partial to a discussion about paper-thin female characters), McDonagh never lets us forget that for the characters involved, this is real life with sometimes horrible consequences (there is at least one death that is out-and-out heartbreaking). Intentional or not, I was also struck by the sheer number of females of color in this cast. Yes most of the female characters "can't string a sentence together", but considering how many genre films are lucky to have two females period, it's worth noting that we see quite a few women-of-color in this gangland story. Of these, Linda Bright Clay shines brightest as Christopher Walken's cancer-stricken wife. Speaking of which, Chris Walken delivers what is arguably his best performance since Catch Me If You Can (not that I don't love his turns in The Rundown, Hairspray, or the criminally underrated Balls of Fury) and what I would argue is one of his finest performances, period. In a film full of bloodthirsty well, psychopaths, Walken is refreshingly cast as one of the least outwardly crazy characters in the film and the closest thing the film has to a heart-and-soul. It's a perfect mix of Walken-doing-Walken shtick and a genuine dramatic performance, using his patented verbal gymnastics to mask a sad old man filled with regret but too wise to spend his final days wallowing in self-pity. In a more high-profile film, Walken would be a lock for an Oscar nomination. The rest of the cast is uniformly good, with Sam Rockwell standing out as the most colorful character of the bunch. As the proverbial loose cannon of the group, Rockwell represents the audience, the ones who root for great drama at the expense of the characters with whom we're supposed to be invested. 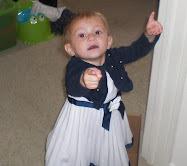 The violence is often over-the-top and the picture all-but asks us point-blank "Why are you enjoying this?". Like the best genre deconstructions (see the above references, plus offhand Kiss Kiss Bang Bang and Scream 2), Seven Psychopaths works as both as a commentary on its genre as well as a rhetorical argument directed at those who would take said pictures as 'fun' or 'popcorn entertainment'. But like those modern classics, Seven Psychopaths is also a sterling example of the very thing it purports to deconstruct. There is no reason to spoil the many surprises and unexpected pleasures, to say nothing of the profundities contained in this gem of a picture. So I will quit before I spoil too much and only say that Seven Psychopaths is one of the best films of 2012 and contains one of the finest performances of Christopher Walken's career. If that sentence doesn't get you into the theater, nothing will. Thank goodness!!! I loved In Bruges so much I was terrified by the awful trailers (You make me read into trailers more btw) , I have been waiting for your review! Unlike the other poster, I hated "In Bruges" with a passion and was very nervous about seeing Seven Psychopaths even though I liked the trailer. The trailer is very condensed, practically anything funny that happens in the film is in the trailer - there are no shocks, just a few laughs along the way. The Wolverine gets a stylized teaser poster. Catch 22: The ironic failure of Alex Cross. Iron Man 3 gets a teaser poster and a synopsis. The funniest moment in the entire DCAU Universe?